If you need a beautiful bunch of flowers delivered promptly to a loved one, look no further than Interflora. 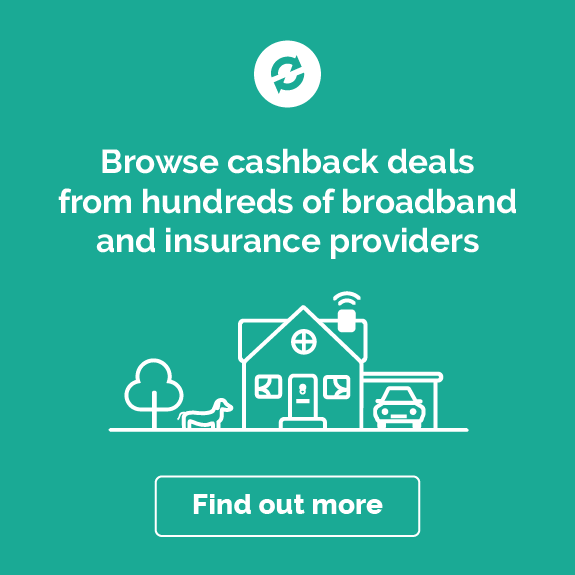 Shop through the links on this page to earn cashback on flower deliveries. Interflora has a huge selection of gorgeous hand tied bouquets, so whether you’re looking for a birthday gift for a special someone, a wedding anniversary present or funeral flowers to express your condolences, start shopping through the links on this page. Find out more about shopping for flowers online with Interflora and how you can make the most of your cashback. Picking wedding flowers are perhaps the most important flowers you will choose in your life. Head to Interflora’s website to shop for everything from stunning bridal bouquets to table centrepieces and even corsages. As well as being able to purchase flowers you can also find tons of wedding inspiration, advice and guides on which type of bouquet is perfect for you on your big day. Purchase your wedding flowers from Interflora and shop via the links on this page, so you can earn cashback on your Interflora wedding flowers. If you’re looking for a gorgeous bridal bouquet then check out Interflora’s wedding flowers to see what is on offer. If you’re a sucker for roses, then you can find stunning rose bouquets, with red, pink, lilac, orange and cream colours available. Shop for various styles such as posy bouquets that are typically round and often small enough to hold in one hand, making them very easy to carry around on your big day, or why not go for the breath-taking shower bouquet, a very traditional style that can be created with almost any type of flower and often enhanced with ivory and fresh foliage. Or if you don’t fancy roses, then why not go for some colourful tulips? They’re perfect for a spring wedding and they would make a very simple but elegant bouquet. Go for something bolder with a mixture of flowers, such as the White Wonders Bouquet, a stunning shower bouquet that includes dendrobium orchids, roses, Asiatic lilies, freesia, spray roses and mini hydrangeas. Interflora has a selection of gorgeous wedding flowers for a table centrepiece in a variety of styles, so you’re bound to find something that is perfect. If you want something bright and bold for your table, why not go for the Floral Spheres centrepiece? With peach carnations, pink carnations, pink spray roses, pistachio mini carnations and green hydrangea arranged beautifully in silver jugs, they’ll be sure to wow you and your guests on your wedding day. Or if you’d prefer something more timeless, then why not go for the Classical Whites Floral Globe? This super stylish centrepiece features white geminis, green hypericum, white lisianthus and large white roses, presented in a large glass vase. As well as Interflora wedding bouquets and table flowers, you can also pick up flower corsages and buttonholes that are the perfect final touch. From elegant handbag corsages to simple but beautiful rose corsages and mini pink rose boutonnières, you can find all these small details at Interflora. 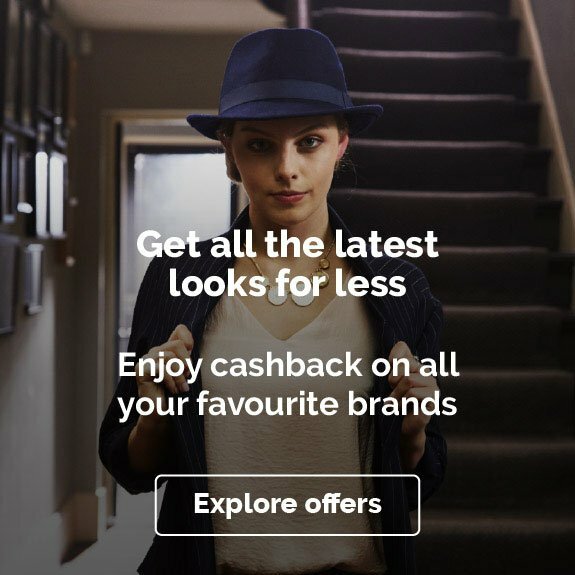 And when you shop via the link on this page you can earn cashback on your purchase. Interflora understands that you have so many things to consider when you’re planning a wedding, so they have taken the hassle out of shopping for wedding flowers by offering wedding flower packages. With three packages to choose from, and each available to be tailored to suit you and your big day, you can find the perfect flowers for your wedding day, without the hassle. Interflora is the UK’s biggest and longest serving flower delivery service in the UK. They’ve delivered flowers, plants, best wishes and condolences to friends and loved ones across the UK for more than 90 years. Interflora has a team of award winning florists who prepare each and every bunch of flowers with care before they are hand delivered to the recipient. There’s nothing nicer than receiving a big bunch of flowers, so brighten up someone’s day and earn cashback just for treating a loved one when you order Interflora flowers through Quidco. Interflora started out life in 1923 in UK under the name ‘Florists Telegraph Delivery Association’, as a network of florists offering flower and gift delivery services in the UK. By the 1950’s they adopted the name ‘Interflora’ and worked hard to ensure their florists were exceptional at what they did. By the end of the 1950’s, Interflora was flourishing thanks to their excellent reputation and expertise in their industry, setting them apart from everyone else. Today Interflora is one of the world’s most recognised brands and they continue to be leaders in floral design (they’ve even won gold medals at the RHS Chelsea Flower Show!) Their network of florists now includes more than 1,800 experts across the UK and Ireland, who work hard to put together beautiful bouquets of flowers day in, day out. Interflora ensures that each and every bouquet they put together uses only the freshest and most beautiful flowers they can source. After you’ve placed your order one of their expert florists will carefully arrange your flowers and deliver them in person, adding an extra special touch. From romantic roses to pretty peonies and sunflowers that make you smile, you’ll be spoilt for choice when it comes to choosing the perfect bunch. 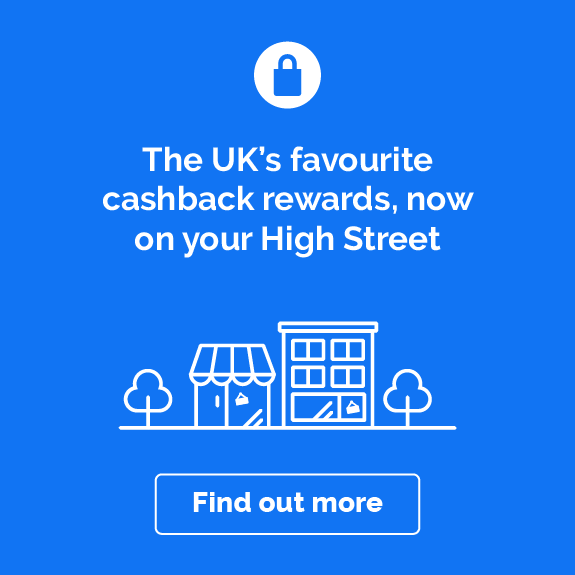 Whether you’re treating your partner with a bouquet of roses or want to gift your nan to some blushing blooms simply shop through the offer links on this page to get started and you’ll earn cashback on your order. A plant can make a wonderful, thoughtful gift that can be enjoyed for longer by the recipient. Interflora has a range of colourful indoor plants like elegant orchids and blooming rose plants, as well as outdoor plants like gorgeous green olive trees and leafy bay trees. Interflora plants also include cute cacti in stylish ceramic vases and hanging fern plants that are the perfect gift for anyone who loves a bit of greenery indoors. Most of Interflora’s plants are available with same day and next day delivery, so if you left your gift until last minute, Interflora has you covered. Whether your best friend got that promotion, your sibling has a big birthday coming up or your parents have a special anniversary on the horizon, you’ll find gorgeous bunches of flowers available to order with Interflora. If you need a little inspiration on what flowers to buy, head to the Occasions tab on the website. Interflora covers everything from birthdays, graduation, funerals, anniversaries and much more. You also have the option of including a handwritten message to your flowers too so you add a really personal touch to your gift. Looking to send flowers to friends or family across the globe? Take advantage of cashback when you use Interflora’s international delivery service to send your loved ones floral gifts. Whether you want to send a new baby bouquet to Brazil or sympathy flowers to Spain, Interflora will ensure your flowers to be arranged by their expert florists. The florists will carefully select the freshest and most beautiful flowers that are local to the recipient’s area and ensure each bouquet is delivered by hand and with care. Interflora can deliver to over 140 countries so to view all destinations they can deliver to, head to the International section of the site. 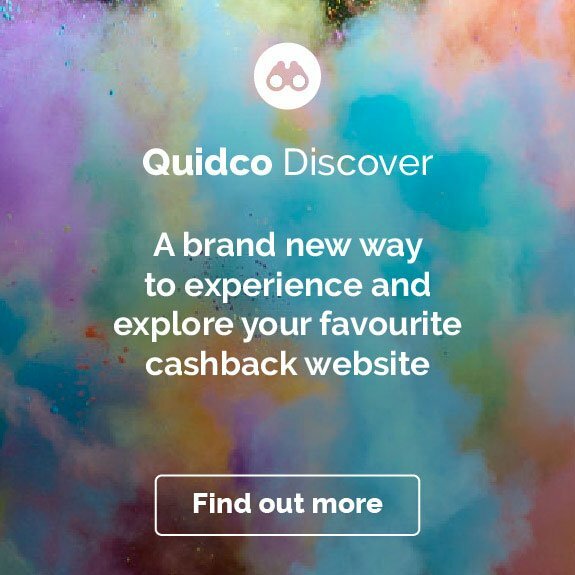 Take advantage of cashback offers on International delivery when you order your flowers through Quidco – just shop through the links on this page to get started! If you’ve left buying a gift until last minute, there’s no need to panic. Interflora offers next day delivery on flowers and plants, and same day delivery on selected items. If you want to send your flowers using their same day delivery service, you will need to place your order before 3pm. And if you need next day delivery for your bunch of flowers simply place your order before midnight for both weekdays and weekends. Once you’ve chosen your flowers and delivery, all that’s left to do is sit back and relax whilst Interflora take care of everything else. If you’re still wondering how you can make the most of Interflora cashback then take a look at some of our ideas. Surprising a loved one with some flowers can be tricky. Convincing them they need to stay at home for the day is likely to give the game away. This is where Interflora’s letterbox flowers come in. You can send the same gorgeous flowers that are freshly cut and carefully packed in a box that can fit through any letterbox, so the recipient has a wonderful surprise when they arrive home. You can include a message inside a gift card with your flowers to add a really special touch. If you’ve got a friend’s birthday coming up then check out Interflora’s food hampers and gift baskets. Their carefully packaged hampers are filled to the brim with quality delicious food and drink and arrive beautifully presented. There are hampers for the foodies in your life, from healthy fruit baskets to naughtier sweet hampers filled with tons of nostalgic treats that’s bound to take the receiver down memory lane (flying saucer anyone?) If you’d like to send a hamper that has a little bit of tipple in it for a responsible adult, you’ll find tons of hampers that include wine, champagne and spirits. Why not treat your girl friend to a luxury rose wine gift basket, or send a cheese and wine hamper to a loved one? You’ll earn cashback on your Interflora hamper and make someone very happy – it’s a win-win. Wow your guests with one of Interflora’s stunning floral centrepieces. Whether it’s an engagement party, a wedding reception or simply a special dinner party with friends, you’ll find a range of centrepieces that will add some sophistication to the table. Whether you’re after a bold and colourful arrangement or red flowers to go with your theme, Interflora has an excellent range of flowers for you to choose from. Many of Interflora’s flowers include a vase too, which means it’s even more convenient for you to order your floral centrepieces with Interflora. Why wait until Valentines Day to tell someone you love them? With Interflora, you can send romantic flowers any day (and every day!) of the week to your special someone. Whether you’re after some classic romantic red roses or fresh summer florals, you’ll find beautiful hand tied bouquets and flowers that come with gifts or balloons for an extra special pressie. We hope you’re ready to start ordering flowers with Interflora. If you still have some questions about using their flower delivery service then you will find answers to some of the most commonly asked questions below. If you still can’t find the answer you’re looking for, check out Interflora’s full FAQ section on their site. Interflora can deliver flowers to over 140 countries across the globe – so you can send flowers pretty much anywhere you like! To find out more about delivery, head to Interflora’s delivery information page and pop in the postcode of where you’d like your flowers to go to and the date you’d like them delivered. You’ll then be able to see what delivery options are available to you. How much is Interflora delivery? Delivery with Interflora starts from £6, but the cost will depend on which delivery option you go for and where you are delivering to. Can I track my Interflora order? You can track UK delivery orders by heading to Interflora’s website and clicking Order Tracking at the bottom of the page. You can enter your order number (you can find this in your order confirmation email) to track your order. What are Interflora’s payment options? You can pay online with American Express, Mastercard, Maestro/Switch, Visa Credit, Visa Debit/Delta and Visa Electron. If you’ve placed an order with Interflora that you need to change, you will need to contact their customer service team directly. Head to the Contact Us link at the bottom of the website. Whether you’re looking to send your best friend a bunch of flowers to say thanks, send your mum flowers for her birthday or if you’re sending some sympathy flowers to express your deepest condolences, then you’ll find the perfect bunch of flowers at Interflora. You can earn cashback on all of your flower purchases when you shop via the links on this page, and now you can save even more money with our special discount codes and voucher codes. Simply check back on this page to see if any special offers have been posted and start shopping through the links on this page. 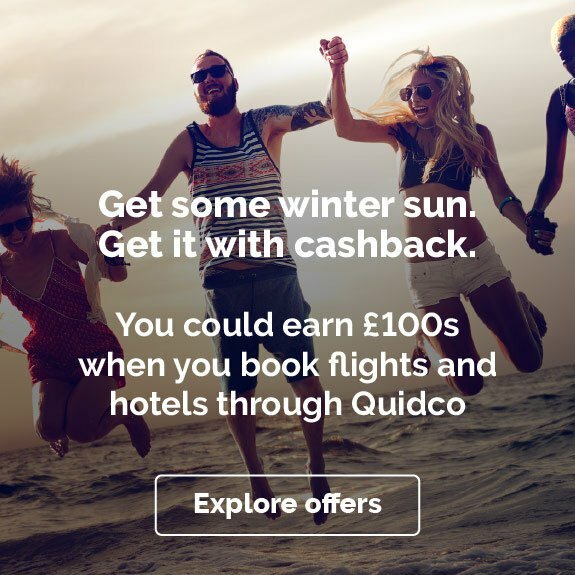 Make sure you only use the voucher codes and discount codes posted on this page, as any others may invalidate your cashback. If you’re looking for more floral delivery services, check out our cashback deals with eFlorist Flowers, Serenata Flowers and Bunches. And why not sign up to a flower subscription service? Try out Bloom & Wild Flowers and Flying Flowers.